Baguio never gets old. This city perched on the cold mountains of the Cordilleras is one of the most-visited summer destinations in the country. It entices many of its visitors with a chilly weather perfect for those lazy bones. It is a home to some all-time favorite tourist spots that show a glimpse of its past dwellers (established by the Americans in 1900) and that of the mountain people's rich life and culture; a haven for shoppers and bargain-seekers; and a magnet for food lovers. For these reasons, just like many, I’ll never grow tired visiting this city. To fully enjoy a getaway in Baguio, I'm sharing with you some of the things that you can do while in there. I've also added tips that might be helpful to plan your trip. 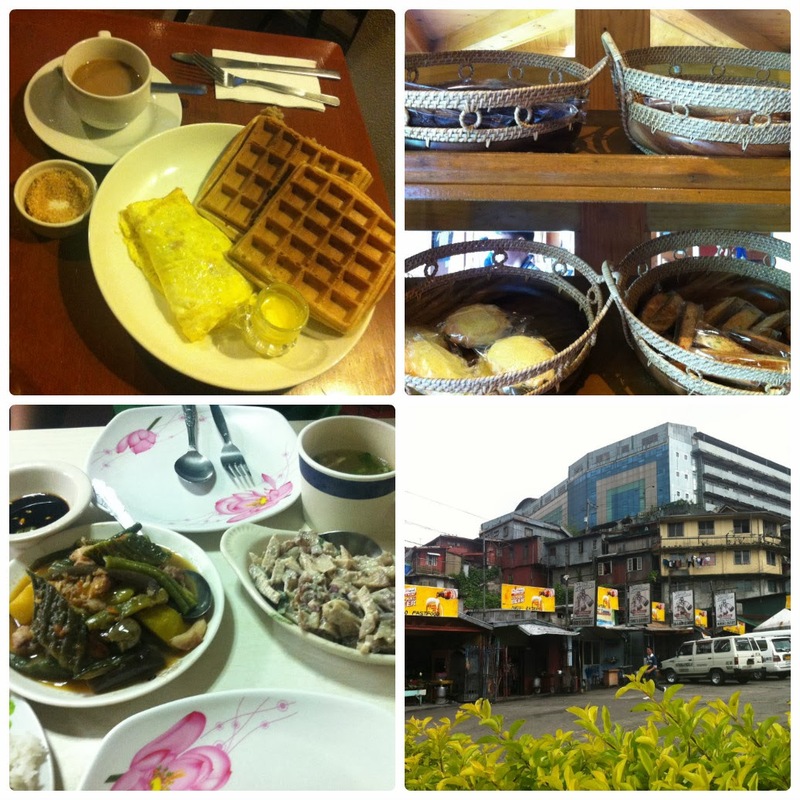 A Baguio trip is never complete without a food trip! There's plentiful of restaurants and cafes to choose from. 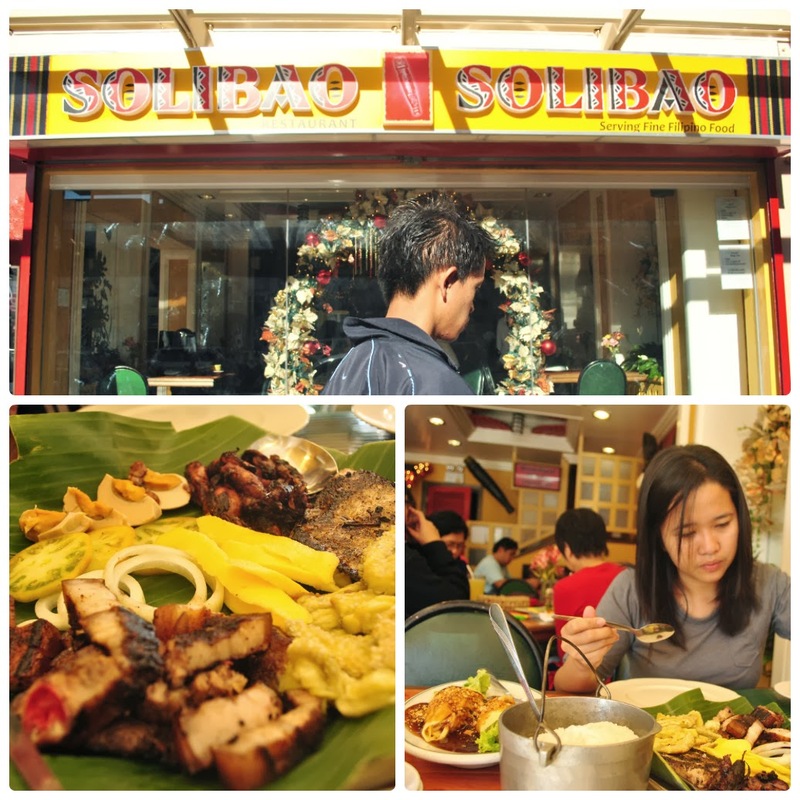 Solibao, along Session Road, has a great sample of inihaw sa bilao and ubud lumpia. For dinner, you may also try the Asian dishes at Ocha Cuisines (ordered kebab and teriyaki). You may also add an after-meal delight-- try the all-time favorite strawberry shortcake at Visco’s Restaurant and Cake Shop. Also, I would recommend either a lunch or dinner at Zola located along Session Road, near Baguio Cathedral. They serve delightful cuisines for reasonable prices. I wonder if they still serve the beverage they call "churvanilla," it made me smile when I visited it first back in 2006. If you're looking for a place ideal for long talks, my favorite Baguio food hub is Cafe by the Ruins. I love the quaint and artsy details inside, and of course the food! Though the food was a bit pricey (for budget travelers like me), but it was worth it. I especially loved their mountain rice, bagnet and tortang talong with kesong puti. Other food stops you may want to indulge in are the buffet lunch served at The Manor, pizza at Pizza Volante and you may opt to go rad by trying out the restaurants known locally as the slaughterhouse. Money spent on museum visits are always worth-it! I really suggest you buy some time off your schedule to immerse yourself in the rich art and culture vibe in Baguio. Some of the museums worth visiting are: BenCab Museum, Baguio Museum, Mountain province Museum, Aguinaldo Museum. Another must-visit place if you want to get a glimpse of Ifugao traditional huts (they have a fertility hut, too!) and Baguio's art scene, head over to Tam-awan Village. Who goes home from Baguio without a pasalubong?! It's "a-must" for someone heading up there to return with a bit of something from the city -- a bottle of ube or strawberry jam, raisin bread from The Manor, freshly -picked strawberries from La Trinidad, vegetables and fruits, and knitted headbands or scarf are some of the popular souvenirs from Baguio. And of course, there's the famous ukay-ukay shopping. Make sure to have extra money to burn for some bargain shopping at these widely popular "second-hand stores" around the city proper, mostly near Session Road. Just be prepared to do hard-core digging and haggling! It's also good if you'll take with you a lot of patience roughing it out in the piles and piles of clothes, that virtue will eventually reward you of some really cool (and original in some instances) items for a very low price! The last time I was in Baguio was last May. I went to a Saturday night flea market and got myself a really nice Columbia jacket for just P500, quite a steal since the original price at the mall is about P6,000. Yeeh! To be extra cautious, my "new" favorite jacket had to go through a rough time in the laundry! One of the things I've tried during my recent visit was the Tree Top Adventure at Camp John Hay. I've never been too scared as I was while prepping for the 60 feet free fall for the Tree Drop Adventure (P150). The 2-second free fall left my legs wobbly and my hands shaking. I was really scared! It's a must-try especially if you want to conquer your fear of heights. Other activities you may try: Canopy Ride and Funicular, Superman, Silver Surfer, and Trekking and Skywalk Adventure. Although this city is quite densely populated already, many people still find a temporary respite there. Baguio is still a favorite destination for many newly-wed couple going on a honeymoon, or a forlorn lady mending a broken heart. 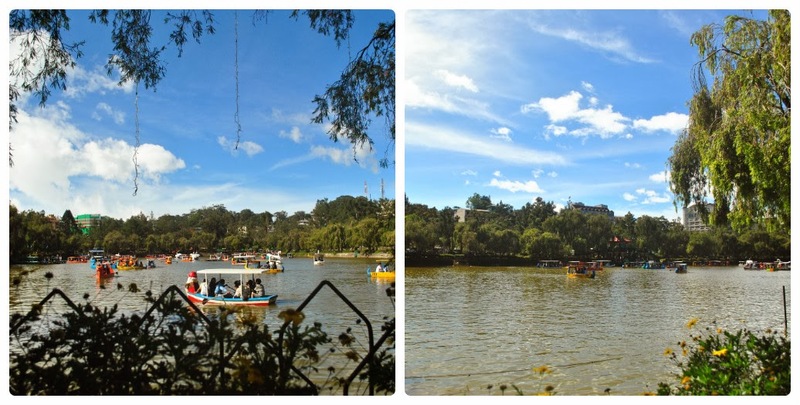 Baguio has a lot of wide open parks ideal for strolling, chilling or just simply people-watching. Then after a day touring, of digging on some of the best foods, of taking an artsy journey or splurging on shopping, nothing beats slipping into the most comfortable bed and breath in the biting cold weather as you end another day in the City of Pines. 1. Baguio is dubbed as the Summer Capital of the Philippines and the City of Pines. 2. 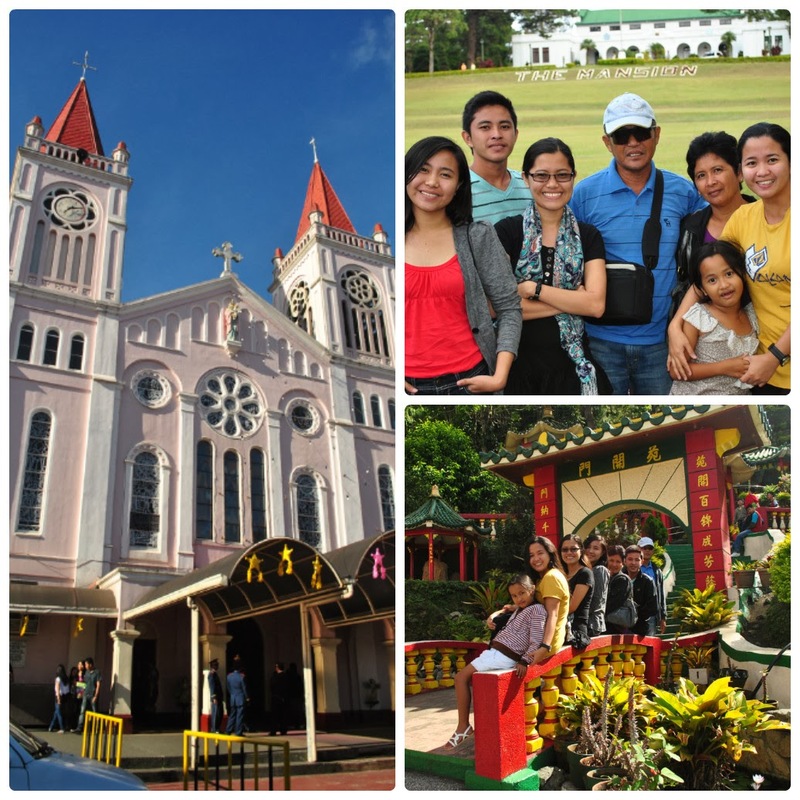 Baguio is about 5-6 hours away from Manila. The most popular bus taking the Manila-Baguio-Manila route is Victory Liner with terminals are at Cubao, Pasay and Caloocan. Fares for First Class (1x2 w/CR) fare is P715 and Regular fare is P445. Its terminal in Cubao has buses leaving every 30 minutes, 24 hours a day. Genesis Transport also has daily trips to and from Baguio. I would suggest taking the night trip to avoid too much traffic along the way. 3. Upon arrival, there are tourism representatives at the bus station. They can give helpful information regarding accommodation, tours and etc. Metered taxis or vans are also waiting there to guide you to your preferred hotel. 4. Accommodations should also easy since Baguio has numerous hotels just right for your budget—luxury, transient, inns, villa, or backpacking style. Hotel Henrico - budget-friendly hotel ideal for family and group. Azalea Residences Baguio- good facilities and comfortable place to stay in. 6. Walk your way around! I still prefer walking since most of the establishments and parks are within the city proper. i visited Baguio so many times for the past 10 years and every time i visit, i always wish there will be any changes to make me excited about but still, for me it"s still the same sleepy and boring city to visit to. #6. Finding Solace it is. 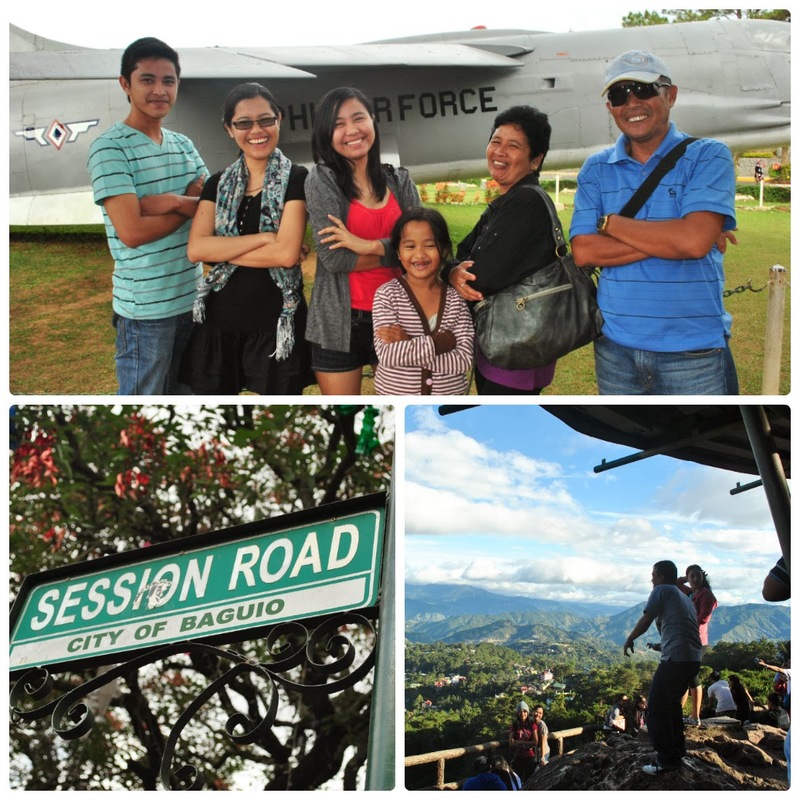 :) nice read..
will visit baguio for the first time on march 6. thanks I bumped into this site. simple yet very helpful. Thank you ms. Che. Very helpful info and tips. Godbless.